Gladiator Outfit for Genesis 2 Male for use in Daz Studio 4.6. Wow, this is beautiful! The sandals especially! Thank you so much fo sharing your work. File has been updated as a material file was referencing the wrong path. Hope it's OK now. Thank you! Nice Outfit! Great done! 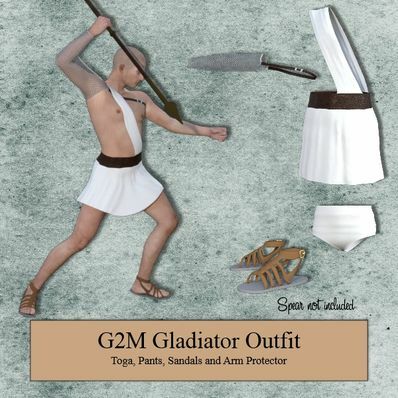 Thank you for the Gladiator Outfit. Phantastic! Thank you very much!